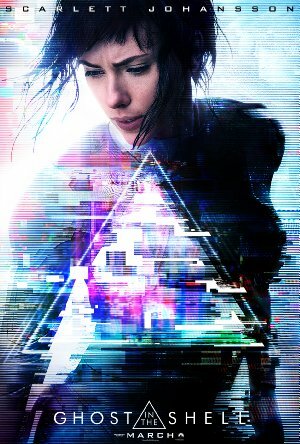 The problem with trying to review Ghost in the Shell is that there are things about this movie that are wildly inconsistent. Scarlett Johansson’s performance is close to perfect, the visuals are astonishing and it is always a treat to watch Takeshi Kitano in front of the camera rather than behind it. But the main villain is boring and the story is recycled claptrap. When you consider that this is the Hollywood big-budget version of a beloved Japanese seinen manga serial, it deserved better. “Mira Killian” (Johansson – Her, Don Jon) awakens to find that her body is dead but her brain has survived and been implanted into a synthetic body. Her surviving memories are her “ghost” and her new body the “shell” of the film’s title. Fast forward one year and she is now known simply as “Major” and she is part of a secret police unit known as Section 9. She was placed there by Hanka Robotics “CEO Cutter” (Peter Ferdinando – High-Rise). The scientist who headed the secret project that created Major, “Dr. Ouelett” (Juliette Binoche – Cosmopolis) is against this but Cutter ignores her objections. Major disregards the order of her superior, “Aramaki” (Kitano – The Blind Swordsman: Zatoichi) and jumps into a dangerous setting to attempt to stop a terrorist attack at a meeting involving another senior employee of Hanka. She stops the attack but not before the terrorists successfully hack into his brain using the enhancement technology implanted in the back of his neck. She ignores the dangers a second time by going into the mind of the geisha-bot that did the hacking in an attempt to locate the terrorist behind the attack. “Kuzu” (Michael Pitt – Seven Psychopaths) has a very compelling reason for his obsession with killing all of the scientists involved in the project that created Major. A reason he will ultimately reveal himself. Fortunately for Major, “Batou” (Pilou Asbæk – The Great Wall, Lucy) is there when Major makes this dangerous dive and calls for a halt to the procedure. Major recovers and now armed with more knowledge about who Kuze is, sets out to capture him. This journey reveals a lot of information that Major isn’t supposed to know about and that makes her a liability to Hanka. There are two things about this film that are spectacular. One is the visual presentation and the other is the powerful performance of Scarlett Johansson. Her action star chops were a proven commodity from her work as “Black Widow” in the Marvel Comics films and her turn in “Lucy.” So were her ability to simultaneously display and evoke emotion. But one outstanding performance (and solid work by the rest of the cast) added to some incredible visuals cannot save the weak story and re-hashing of the theme of putting a human brain into an artificial body. The one message that could have been successfully conveyed here is the danger of marrying humans and technology within their bodies giving others the ability to control these enhanced humans with the very devices that were supposed to improve their lives. A race of enhanced humans could easily be enslaved by those who enhance them. That message was only hinted at. Still, Johansson’s performance and the imagery on the screen make this film worth a view. Especially in 3-D. Plot: In the near future, Major is the first of her kind: A human saved from a terrible crash, who is cyber-enhanced to be a perfect soldier devoted to stopping the world's most dangerous criminals.